Sitting in the chair at a hair salon the other day (yes-scientific chicks are concerned with their hair style), I was enjoying my ‘free time’- flipping through fashion mags and reading articles about all those other non-sciency important matters happening out there in life, when I stumble upon a striking image of two worlds of words. This beautiful and intriguing illustration of a rigid structure of phrases pressed against a liberated, chaotic nest of words was created by Stephen Doyle. The image is featured in an equally striking article written by Michael Joseph Gross in the current issue of Vanity Fair. The article describes the history and current controversy surrounding the wars for control over Internet freedom. Though I tried to steer my attention towards articles that were non-science related-freeing my mind of facts and processes, I found myself deeply immersed in an article concerning my Science world and inevitably, my life. After staring at the illustration for what was probably an uncomfortable amount of time for most people, I realized the profound reflection this division of two worlds of words provided for my field of work. The rigidity and constriction of research ideas- how they are funded, perceived, and communicated were bound to one world, versus the other side of the scientific community that embraces and supports creativity and freedom in scientific thought. A couple examples came to mind: the whistleblower, outspoken scientists that freely express their thoughts and passions in a typically stuffy, conservative field; the scientists that actively pursue the development of open access publications amongst the subscription-driven businesses that dominate the field with their ‘top impact factors’; and the scientists and aspiring scientists who actively chase research goals in the keen interest of discovery despite regulatory and financial restrictions. I’d like to expand each of these examples with solid, justifiable thoughts so today’s post will be the first of a three part series. Let this tale of two worlds of words begin then with the whistleblowers- the power women who coincidentally are from my academic community: Rosie Redfield and Suzanne Simard. These ladies represent passionate freedom thinkers that push the comfort level of conservative types in the Science world. Both women are scientists, though in separate fields, have both stood their ground for what they believe- just loud enough for all closed minded sorts to hear. In fact, Rosie Redfield was recognized for her boldness in critiquing the validity of a research paper published in one of the most respected or ‘top impact factor’ journals. Expressing her distaste for the evidence driving the conclusions of the paper, Redfield pursued the experiments herself, in her lab, blogging about the process and ‘actual’ results that were observed from the work. As a cheeky stab at a competitor, another ‘top journal’ ranked Redfield amongst their year’s best newsmakers- praising her fearless pursuit to expose the truth about work that would otherwise be unquestionable due its publication status. 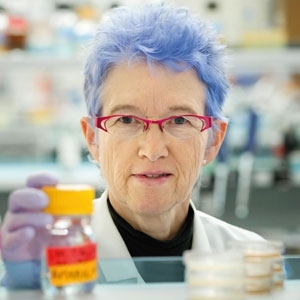 Within the conformed and rigid trust that holds the highest ranked published work, exists critical minds like Redfield’s, that break free from the rigidly trusting framework and are courageous in exposing errors in the system- taking hold of the reigns to drive forward true scientific discovery. Suzanne Simard is another gutsy researcher who has pushed casual and conservative thinkers to re-evaluate the conformity of their thoughts in the community and freely adapt to the literally changing climate. Simard’s research in to the symbiotic network that connects plants, forests, fungi and soil microbes and the influence of climate and forest disturbances on this network is not limited to the scripts of grant proposals, experimental papers or departmental seminars- Simard passionately communicates her research findings for all audiences, including policy makers, to hear. For an April 8 2011 issue of the Vancouver Sun, Simard expresses the dire need to change policies regarding forest stewardship. Simard presses that we will lose the resiliency of BC forests if governmental policies for timber harvesting and multiple land-use tenures are not properly evaluated and are not designed to consider the devastating effects of climate change. Against a society with a conformist attitude concerned primarily with financial and health issues- Simard breaks through, expressing the detrimental burden a loss in forest stewardship will cost to society- a price that will be paid by our generation and for others to come. If you ever doubted the value or misunderstood the imperative contribution and intricate nature of plants and trees in a forest community, I highly recommend you tune in to Simard's YouTube clip discussing The Mother Tree and the March 22nd episode of CBC’s “The Nature of Things with David Suzuki” called Smarty Plants. The CBC episode profiles Simard’s work (in the last segment) investigating the beautiful mutual exchange of nutrients between fungi and mighty Douglas fir trees. Set amidst a breathtaking backdrop of towering Douglas firs, Simard eloquently depicts the selfless exchange of essential materials that supports the life of the forest. You can hear the fascination for discovery and respect for the findings in Simard’s voice as she discusses the significance of her team’s work. Simard’s research reflects her respect and passion for sustaining life in the forest- a concept delectably emphasized in her article for the Vancouver Sun.